Welcoming a new baby boy into the world is a very big deal. Designed to honor the magnitude of the occasion, this handsome wreath makes a wonderful, longer-lasting alternative to flowers. 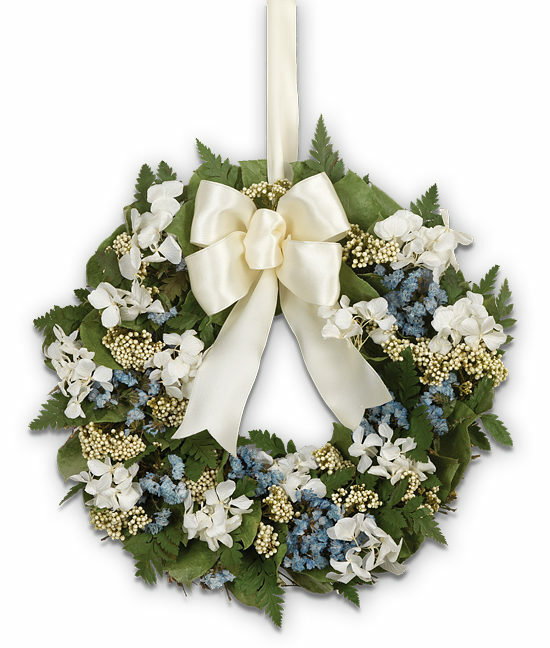 Handcrafted using maidenhair ferns, natural leaves, blue sinuates, white rice flowers and white hydrangeas. Natural twig base. White satin ribbon bow and hanging loop. 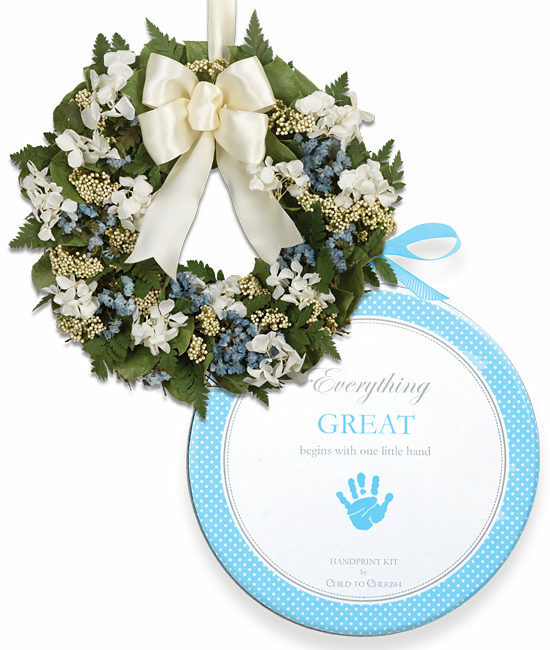 Consider adding a memory making Blue handprint kit.